Founded in the mid-1990s, Capital One is a relatively young bank, a veritable teenager among its centenarian counterparts like Chase and Citibank. While most consumers likely best know Capital One for its series of commercials starring whimsical Visigoths, its more than 45 million cardholders also know it for a diverse offering of credit cards and wide range of benefits. For those interested in obtaining a new Capital One card, the choices are many. But since you can only have two Capital One credit cards at a time, you’ll want to pick the very best one for you — starting with the bank’s flagship travel card, the Capital One® Venture® Rewards Credit Card. Capital One was among the first major issuers to provide blackout-free travel rewards redemption, and its No Hassle Rewards® help set the issuer apart from its competitors. Your new Capital One® Venture® Rewards Credit Card will help you earn miles quickly, while also providing a host of other perks, including the ability to earn a high credit limit and discounts at your local Capital One Café. Perhaps one of the best things about the Capital One® Venture® Rewards Credit Card is the flexible credit requirements and generous credit limits. In fact, reviews indicate the average credit limit at approval is around $10,000 — and that’s not just for people with excellent credit, although the average score seems to be around 725. One reviewer was approved for $15,000 with scores averaging a low 662. Perhaps more remarkable is the far end of the spectrum; several reviewers have reported limits above $30,000, including one reviewer who received a credit limit of $50,000 for his Capital One® Venture® Rewards Credit Card. Since it is a Visa Signature® card, approved Capital One® Venture® Rewards Credit Card applicants can expect a minimum $5,000 limit. If you’re just starting to build credit, or have been rebuilding your credit and are worried about being approved for the Capital One® Venture® Rewards Credit Card, you can try for the Capital One® Capital One® VentureOne® Rewards Credit Card, instead. The earning rate for rewards is a little lower than with the regular Capital One® Venture® Rewards Credit Card — and so is the average credit limit (which is around $5,000) — but the average credit score seems to be below 700. Additionally, if you’re unhappy with your initial credit limit, you can expect credit limit increases as with responsible use of your card over time. Indeed, a number of reviewers reported successfully requesting credit limit increases from Capital One. There were also a few reports of unsolicited credit limit increases. For many cardholders, especially the frequent travelers, the best part of their Capital One® Venture® Rewards Credit Card is the flexible, easy-to-use travel rewards program. Capital One® Venture® Rewards Credit Card cardholders earn unlimited 2X miles per dollar spent on every purchase — no category signups, earning limits, or other hoops to jump through. New cardholders who meet the spending requirement within their first three months can also enjoy a hefty signup bonus. 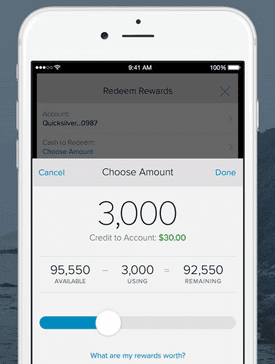 You can redeem Venture Rewards through your online account or on the go with the Capital One mobile app. Beyond the earning potential, however, redemption is where the Venture Rewards excel. Rather than being limited to a specific airline or brand, Venture Rewards users can book and fly any airline, anytime. Redemption is easy with No Hassle Rewards®, a name Capital One takes seriously. Cardholders can use their rewards for a number of travel-related purchases, such as airline fares, hotel stays, and ground travel expenses. You can even use your miles for non-travel purchases, although redeeming for travel-related expenses will provide the best value per point. When used for travel expenses, for instance, you can expect to see a value of $0.01 per mile redeemed. This means if you redeemed 40,000 miles on travel, those miles would be worth $400. As of the end of 2018, users can also redeem Venture miles by transferring to them a participating partner loyalty program. This turns your Venture miles into frequent flyers miles that can be pooled with your existing loyalty rewards. Users can redeem their points at any time through their Capital One online account, or they can use the Capital One mobile application to redeem miles on the go. Miles won’t expire as long as your account remains open and in good standing, and you won’t need to reach any specific minimums to redeem. Another great travel benefit offered by the Capital One® Venture® Rewards Credit Card is fee-free foreign transactions, ensuring your travel card can actually be used when you travel without racking up a fortune in fees. You’ll also enjoy the benefits associated with being a Visa Signature cardholder, including rental vehicle insurance and access to a Visa Signature Travel Concierge to help you plan your trip — and troubleshoot along the way. Of course, your Capital One card is useful for more than just travel. It’s also a way to unlock significant savings when you use it to make purchases at your neighborhood Capital One Café. A new kind of banking, Capital One Cafés are a blend of bank and bistro, offering a relaxing, teller-free atmosphere, as well as fresh Peet’s coffee and pastries from local bakeries. Capital One Cafés are a modern blend of bank and bistro, offering banking services alongside coffee and pastries. 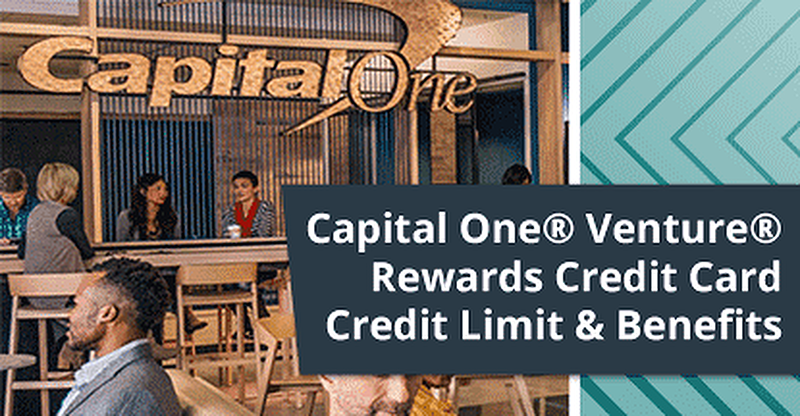 While you don’t need to be a Capital One member to enjoy the Café, your Capital One® Venture® Rewards Credit Card — or Capital One® VentureOne® Rewards Credit Card — will still come in handy. Using a Capital One credit card to pay will net you a 50% discount on your beverage purchases. For a young bank, Capital One has quickly taken over its fair share of the credit card market, and with good reason. Even today, few issuers offer such flexible travel rewards redemption as Venture Rewards users enjoy — and the fringe benefits are nothing to shake a stick at. All this popularity hasn’t gone to Capital One’s head, however. The Capital One® Venture® Rewards Credit Card and Capital One® VentureOne® Rewards Credit Card are still accessible to the average applicant. Of course, if you’re at all unsure about your approval chances, you can always check for Capital One pre-qualification offers. This can be done online, and only requires your name, address, and the last four digits of your Social Security number. Credit card pre-qualification is a great way to get an idea of your approval odds, but isn’t a guarantee that you’ll be approved for any particular card. At the same time, not being pre-qualified for a card could mean your approval chances are low, so consider carefully before applying. The best part about pre-qualification is that it won’t impact your credit score because it uses a soft credit inquiry, rather than a hard pull, to estimate your credit risk.